Point2 Homes gives you far more than a simple list of houses for sale. Get instant access to a lot of relevant information about North Battleford, SK real estate, including property descriptions, virtual tours, maps and photos. The search results pages also have a wealth of information on North Battleford, SK, if you scroll all the way down. 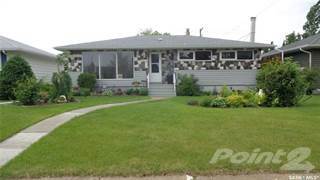 There are 131 houses for sale in North Battleford, SK. 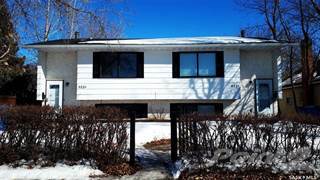 Searching homes for sale in North Battleford, SK has never been more convenient. With Point2 Homes, you can easily browse through North Battleford, SK single family homes for sale, townhomes, condos and commercial properties, and quickly get a general perspective of the real estate prices. Also, you’ll never miss a bargain if you filter listings based on house price drops in the past six months. Use the map view to find North Battleford, SK homes and apartments for sale, based on amenities or city features that you may want close by. You can close in on a specific neighbourhood or area by simply drawing around them with the polygon or radius tools. Stay informed about the latest entries on the real estate market by saving your searches. This way, you get new listings in your inbox, daily or every week, based on your preferences. If you’d like to get in touch with a professional, agents are displayed next to their listings, and they’re easy to contact through the online forms. If you want more options, you can click the Tools tab and Find an Agent, and you’ll get a list of helpful and knowledgeable real estate agents in North Battleford, SK. Visit the Point2 Homes blog and you can find up to date expert advice on many markets throughout Canada, regular market reports, neighbourhood scoops in cities throughout the provinces, real estate deals and useful recommendations. North Battleford, a city spanning 33.55 square kilometres, is located in the central portion of Saskatchewan, close to the Saskatchewan/Alberta border. Situated near the communities of Saskatoon, Lloydminster, Lashburn, and Cochin, it is home to a population of over 13,000 people. A number of highways converge in the city, including Highways 4, 16, 29, 40, and 378. The North Saskatchewan River runs along the southwest edge of the city, and there are also a number of small lakes located in and around the area. North Battleford’s northern section is made up of residential areas, industrial commercial areas, restaurants, service providers, accommodations, retail stores, parks, schools, churches, a civic centre, and a college campus. Residential areas, schools, parks, accommodations, a museum, a library, restaurants, shops, service providers, churches, government offices, a post office, a recreation centre, a bowling alley, and a movie theatre can all be found in the city’s central section. In the southern section of North Battleford, there are residential areas, an art gallery, a hospital, a railway station, court buildings, restaurants, shops, service providers, an RCMP office, accommodations, schools, churches, a fire station, a community hall, an industrial section, government offices, a mall, a casino, an aquatic centre, parks, a museum, a campground, an airport, a performing arts centre, a curling rink, a cemetery, fairgrounds, and an agricultural fair complex. The North Battleford Sports Museum and Hall of Fame is located in the basement of the North Battleford Library. The museum includes displays and information on the history of baseball, fastball, hockey, pistol and rifle shooting, bowling, track and field, golf, boating, swimming, football, soccer, and wheelchair racing. A few of the specific stories told at the museum include hockey player Emile “The Cat” Francis, the 1986 Canadian PGA Senior Golf Champion, and the 1962 Canadian Schoolboy Curling Champions. Those interested in the arts can head to the Chapel Gallery, which presents various exhibits by local artists, as well as hosting various workshops, classes, and events. There are many parks in North Battleford, including Centennial Park, with greenspace, a splash pad, ball diamonds, a track, tennis courts, a horseshoe pit, soccer fields, a playground, walking trails, a skateboard park, and a lawn bowling green; Kinsmen Park, which features a playground, greenspace, ball diamonds, and a splash pad; Holy Family Park, which has greenspace, a playground, and a short cross-country ski trail in winter; and Fairview Park, with a soccer field, a playground, greenspace, and an outdoor rink in winter. The City of North Battleford has an economic development department, which helps with site selection, investment opportunities, business start-ups and development, and networking. In the northern section of the city, there is a mix of newer-built single-family homes at mid-range prices (mostly along the most northern edge) and older, more affordable single-family homes. There are plenty of new condo options available in this section, as well as some industrial and retail commercial spaces. Vacant land tends to be pricey in this section. 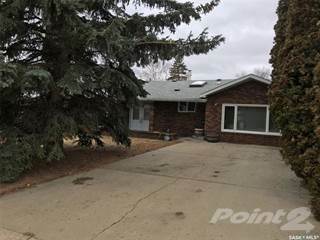 Older single-family homes are common in North Battleford’s central section, and normally come at very reasonable prices. There are also some older condo options in this section. Vacant land is available at a range of prices, depending on location and size, and commercial properties can also be found here. A mix of older single-family homes, large commercial spaces, and vacant land can be found in the city’s southern section. North Battleford’s schools include North Battleford Comprehensive High School, Lawrence Elementary School, John Paul II Collegiate, St. Mary School, Sakewew High School, McKitrick Community School, Connaught Elementary School, Bready Elementary, Phoenix School, Holy Family School, Notre Dame Elementary School, Ecole Monseigneur Blaise Morand, and Ecole Pere Mercure. Other options can be found in nearby Battleford, including Battleford Central School, Heritage Christian School, and Saint Vital School. North Battleford’s post-secondary options include North West College and Academy of Learning College. Other options can be found in Saskatoon, including Great Plains College, Bethany College, Saskatchewan Polytechnic, St. Andrew’s College, and the University of Saskatchewan.